Share these five engaging Super Bowl math problems with your math intervention or enhancement students. 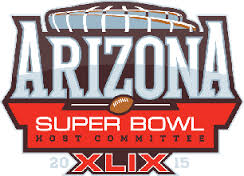 A super bowl quarterback can throw a fully inflated football 55 yards in the air. If he has his equipment manager deflate the balls by 16% (or 2 pounds per square inch) and that causes a 10% increase in distance how much further will he throw the ball? If the score is the Patriots at 27 and the Seahawks at 14, what combination of touchdowns (7 points) or field goals (3 points) would the Seahawks have to make in order to tie or win the game? If Marshawn Lynch of the Seattle Seahawks, rushes for 127 yards on 22 carries against the New England Patriots in Super Bowl XLIX, how many yards per carry would he have averaged? Oh by the way, what Super Bowl number is that? A super bowl wide receiver runs a 40 yard dash in 4.5 seconds. Assuming he runs a hundred yards at the same pace, how much longer would it take him? Tom Brady completed 65% of his passes while Russell Wilson completes 70% they each throw 40 passes. How many passes will Tom Brady complete, how many will Russell Wilson complete? Bonus: what is the total of incomplete passes for both quarterbacks? A few months ago, Amy Boyd of Holabird STEM program in Baltimore County Schools spoke to a group of math educators attending the NCTM regional conference in Richmond, VA. Holabird STEM program is an Ascend Math Gold Medal leader for 2014. Prior to using Ascend, 97% of their students tested at least one grade below grade level, with about 70% of those students testing three or more grades below their current academic grade. The math intervention program they ran last year using Ascend Math helped these students make tremendous gains. More than 60% of students gained two or more grade levels in math. Interactivity and Math Intervention! It Matters! More than a year ago, we made the conscious decision to add a greater level of interactivity to the online lessons in Ascend Math. Ascend Math was already among the most interactive math intervention resources available. We saw the opportunity to go further. The reasons are firmly based in research. The Role of Interactivity in Web-Based Material examined students divided into three groups experiencing the same web content with varying degrees of interactivity. This study found those students working most interactively with a web program attained significantly higher pre to post test gains. The students also reported a greater sense of satisfaction and spent nearly double the amount of time on task compared to the next highest group. Crosby Middle School was the First Prize Winner in the Ascend Math Reel Success Video contest. All the schools entering videos use Ascend Math with their math intervention students. For example, 60% of tier 3 intervention students at Crosby Middle School grew one or more grade levels the first two months of this school year. Wondering what tech trends you might see in classrooms in 2015? The Washington Post released an article you may be interested in. They even ask for feedback on which ones might be reality and which are wishful thinking. According the National Retail Federation NRF’s consumer spending survey the average adult shopper plans to spend $804 this year, up nearly 5 percent over last year’s actual $767. How much of an increase will that be for every 1000 shoppers? Last year, Dec. 14 was the busiest mailing day, with 839 million pieces of mail to be processed on that day alone (up from 583 million on a typical day). What is the percentage increase? The U.S. Postal Service will deliver 16.6 Billion cards, letters and packages during the holiday season — a task that requires 192,000 vehicles. 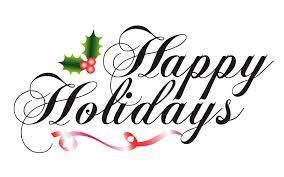 How many cards, letters and packages will the average vehicle carry during the holiday season? According to the National Christmas Tree Association Americans bought 33 million real Christmas trees last year and 15 million fake trees. Five years earlier, they bought 31 million real trees and 17 million fake trees. 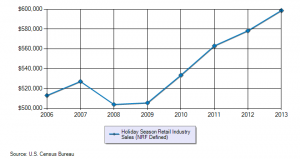 What was the percentage increase in real Christmas trees ? 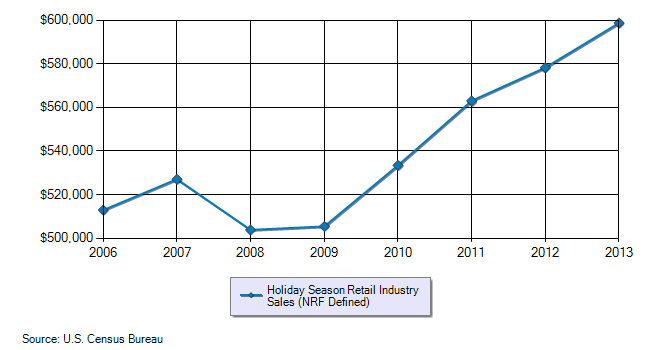 What was the decrease in fake Christmas tree purchases during the same time period? Add up the total days of celebration. How many additional non-celebration days are left in December? Announcing Explorations Contest – $1000 in Prizes! Announcing the Create Your Own Math Exploration Contest from Ascend Math. Educators submitting ideas for online math explorations for Ascend Math, intensive math intervention program will be eligible to win cash prizes. Now Ascend Education is giving educators and their students a chance to come up with their own ideas for online explorations for any objective grade 3-Algebra II. The educator submitting the exploration voted best will receive a $500 cash prize. The second prize winner will receive $250 and the third $100. Three honorable mentions will receive $50 each. Educators interested in submitting should download the official Storyboard Template and Instructions from www.ascendmath.com/explorations . Completed templates can be uploaded online to exploration@ascendmath.com. Entries will be rated for clarity, pedagogy, student interest and creativity. All entries must be submitted by May 8, 2015. The winners will be notified by email. Not long ago, Dr. Brian Scott of Avon Intermediate School spoke to a group of educators from across the country at a special luncheon coinciding with the NCTM Regional Conference in Indianapolis. Dr. Scott explained why Ascend Math has made such a difference with his teachers and students when used for math intervention and enhancement. Share these fun math problems with your students. 1. The average American eats 16 pounds of turkey each year. How much turkey will be eaten this year by the entire town of Turkey, North Carolina (population 292)? 3. 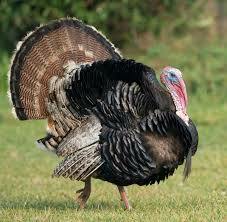 A turkey can run at speeds of up to 25 miles per hour and fly at up to 55 miles per hour. If a turkey runs at top speed for half an hour and flies for another 2 1/2 hours how far will he have travelled? 4. Raising beef takes ten times the resources compared to turkey. A turkey farmer is raising 1200 turkeys this year. If he wanted to switch to cattle how many cows would he be able to raise using the same resources?